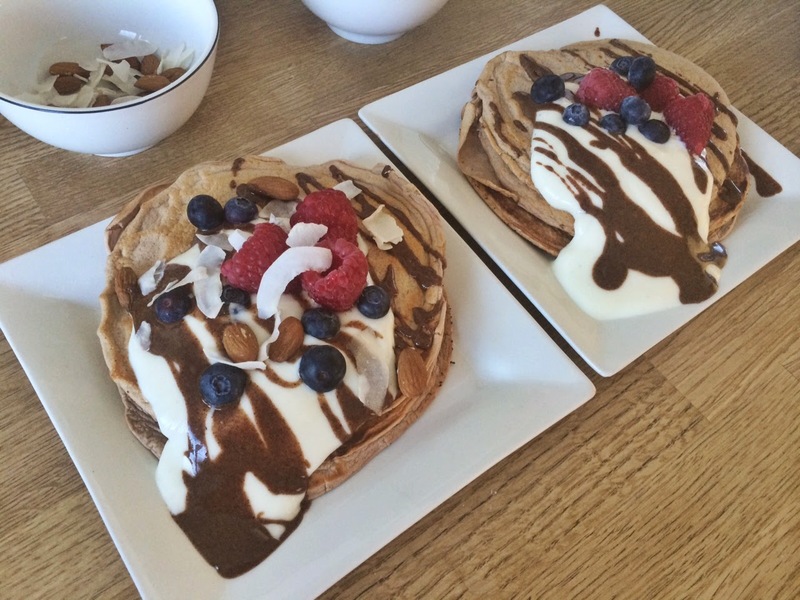 So here we have it my first ever recipe post..go easy on me ;)! 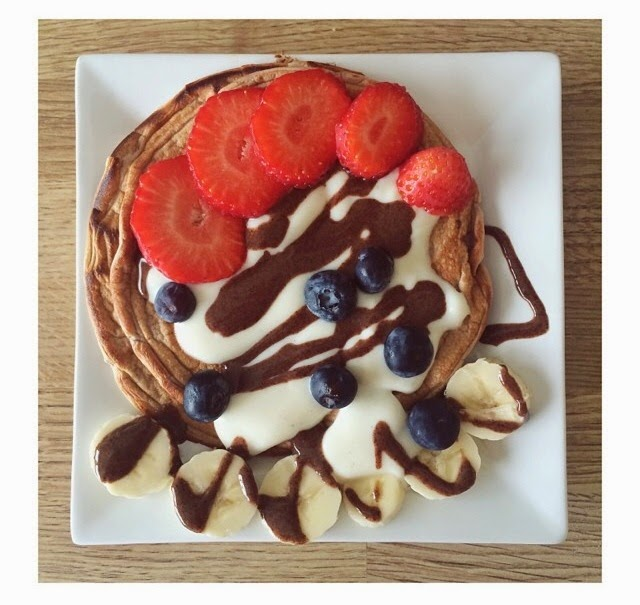 As promised from this post here i mentioned that i was going to start adding some healthy eating recipes to my blog, i had such a great response and this was the most requested one, so lets get into it. 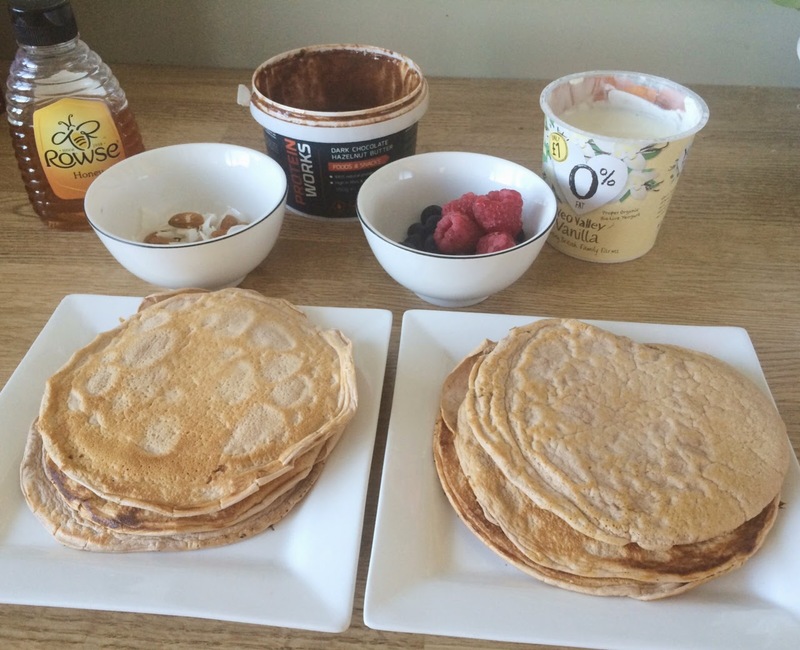 These protein pancakes only consist of a few ingredients so it makes it super quick and easy to prepare before work or the gym, they are crazily filling and manage to keep me full till lunchtime which is great as it stops me from snacking. 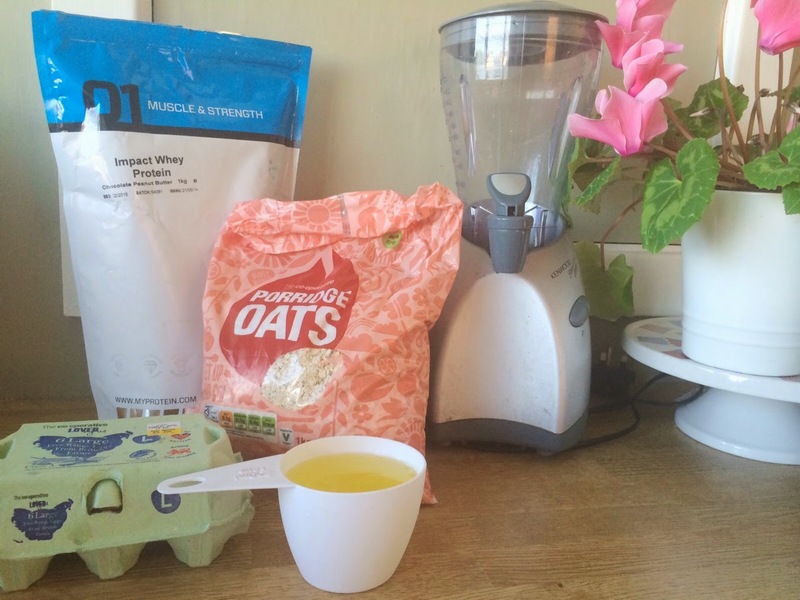 They say breakfast is the most important meal of the day, so may as well make it a tasty filling one! These Protein Panckes are especially effective after or before a workout to help build that lean muscle and repair it. 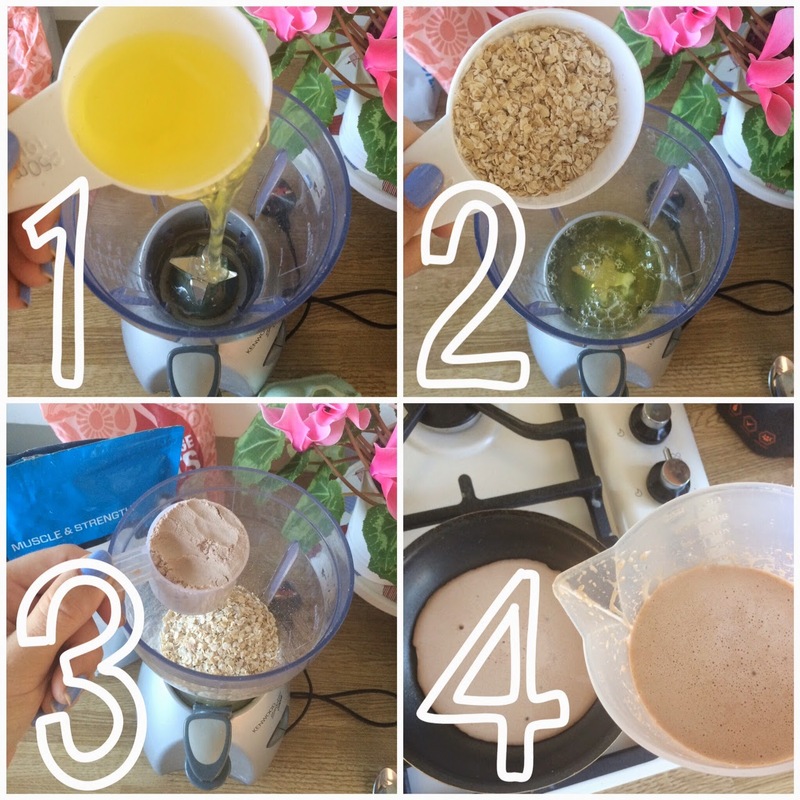 2 scoops - of your chosen whey protein powder (i use a My Protein one in Chocolate Peanut Butter flavour..its delicious) this determines the flavour of your pancakes. or anything else that takes your fancy..go crazy its the fun bit :). Add 1 1/2 cups of egg whites to your blender (or large bowl) i didn't have any liquid egg whites around so i separated the whites from a pack of large 6 eggs. Spray some cooling oil on your pan to prevent sticking, on a medium heat. Then pour in your mixture depending on how big you want them, let them lightly bubble in the middle before using your spatula to flip them over they only need about 1min 30 each side id say. Then once you've done all 4 steps, go crazy with your toppings and tuck in ..sweet sweet bon appetite! If you have any questions, id be happy to help just leave me a comment or a tweet @classicrouge and i will try and get back to you ASAP. Let me know if you'd like to see more of these posts and ill keep them coming, if not then i'll take the hint haha.. I would love to see your creations if you followed this recipe, show me your pictures on Twitter or Instagram and tag me in them.